The adidas Swml T-Shirt for men features screen print artwork on the right side of the front. It has a slim fit in a longer length for style and comfort. 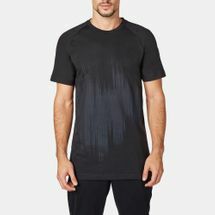 A classic crew neckline gives this t-shirt a modern look that gives a fashionable, sporty style.